I’ve had 3 fantastic tours with Australian guests that have been a blast, all 3 were slightly different in terms if age, gender and riding options. The early Spring weather was a little challenging, but it gave us excellent riding conditions for us to have a ripper time on the bikes. The group from Rockhampton that I mentioned last time had a great 3 days riding, there were 2 female riders apart of the group which was a first for me and I was particularly interested in how the 350 would go for the ladies. Turns out that once you switch the bike into map #1 and select the traction control they’re off and had a blast riding for the 3 days on the 350’s! Day 1 was at Pirini’s which is a must-do if you’re into both MX and XC riding with both options available for the Rocky crew, the conditions were a little sloppy to start the day but improved as the day went on. Day 2 was a Burt’s Farm which was in great condition after the moisture the previous days and the crew rocked out lap after lap in the flowing, bulldozed XC trails. Day 3 and the final day was at Taupo MX track which is where I grew up homing my skills, Taupo really turned it on for us with cracker weather and primo dirt conditions for the us to cut laps. All in all it was a great tour and a heap of fun had by all! 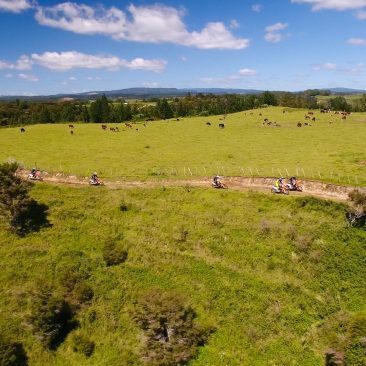 The next tour was named the “Pirini 400” tour which was still 3 days riding, but the final day was a 4hr XC race for the crew from Melbourne of 4 riders. We got the tour kicked off with some fantastic riding at Burt’s Farm, really getting the guys dialed in with their bike set ups ahead of Saturday’s race event. This crew was a little skeptical about riding 350 SX-F around XC tracks, so I made sure that they were completely comfortable with their set up ahead of 4hrs in the saddle on race day. Day 2 was a great days riding, although a lot more technical for the boys with some challenging areas with steep hills and bogs to navigate. 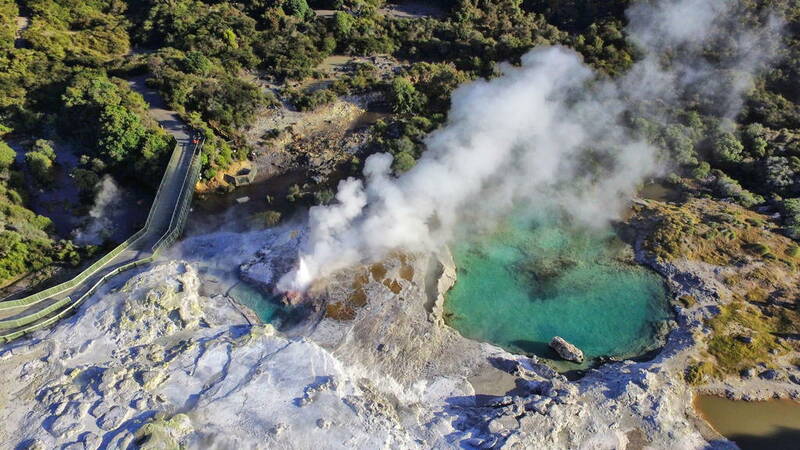 Day 3 was a rest day for the boys and a chance to take in some of what Rotorua has to offer for tourism. 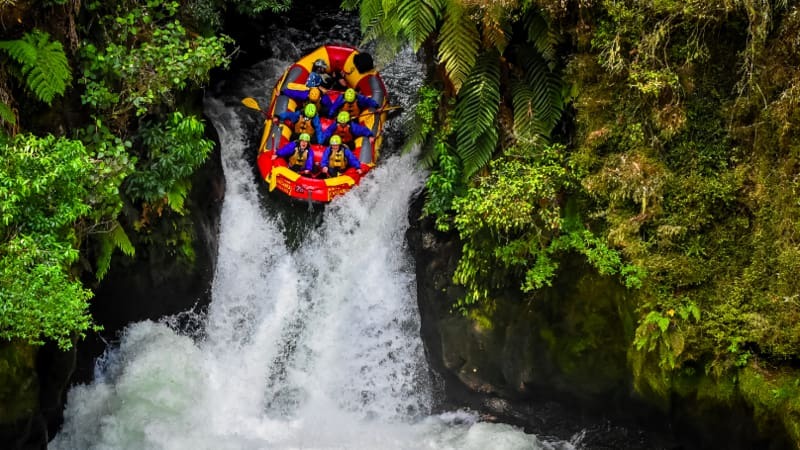 I got the guys booked into a river rafting excursion which takes you over the world’s largest commercially rafted waterfall on the Kaituna River. . . suffice to say the boys had a wicked time ! 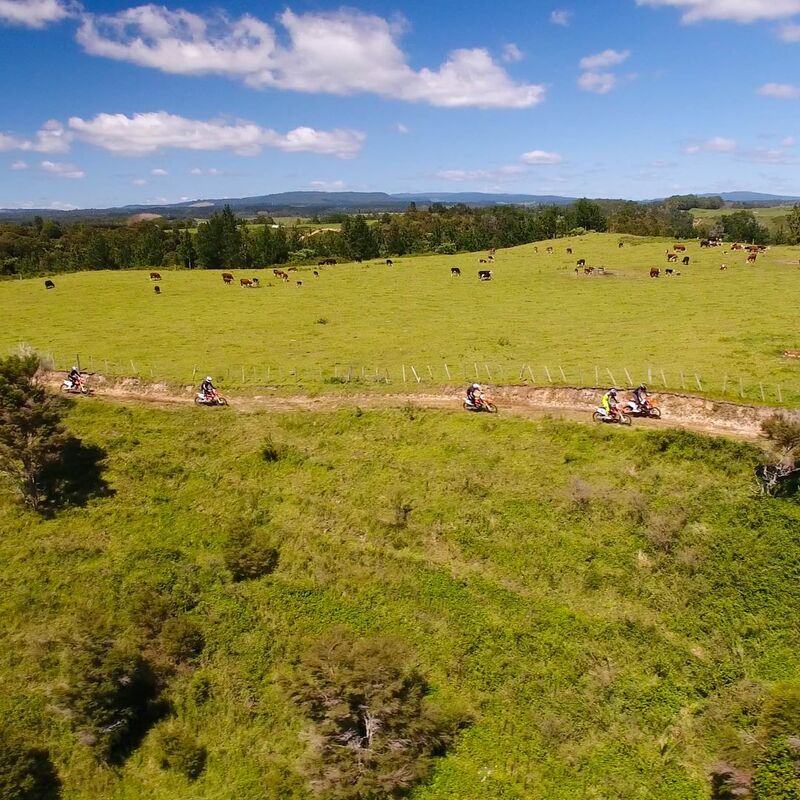 Day 4 and race day time, 4 hours in the saddle was awaiting the boys, the Bay of Plenty region turned on an absolute ripper day for racing and the track layout was one of the best XC tracks I’ve ever ridden !! The trail as I know it wasn’t even comparable, it was in reverse direction and so many small bush tracks added that I had never experienced which made for an excellent, flowing course. The last tour was a small group of two riders who made the jump across the ditch for two days of MX coaching. The teenagers race competitively back home in Australia and were treated to two days of excellent conditions at the Taupo MX track where I could put the boys through their paces. I really enjoyed coaching and these lads, and we were able to make some massive gains with their riding technique that will allow them to have better confidence and in turn, ride and race faster. Next month I will be able to fill you in on a couple of events I have raced myself which is going to be exciting for the NZ motorcycling community !